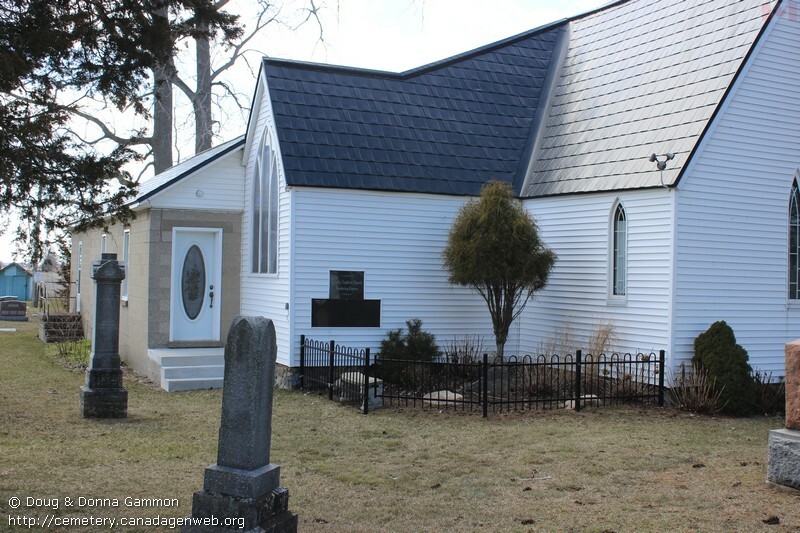 Church / Denomination: Land for the church donated by Mr Mallott in 1865. 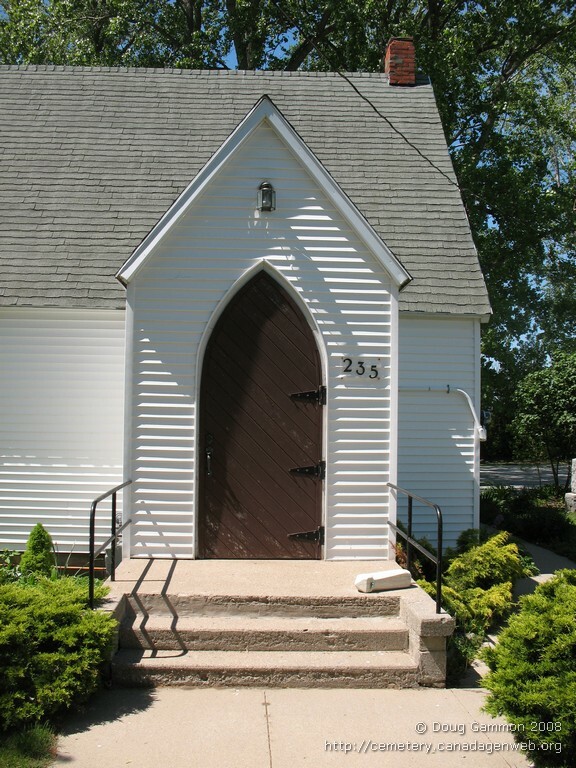 The church was opened for services in 1866. 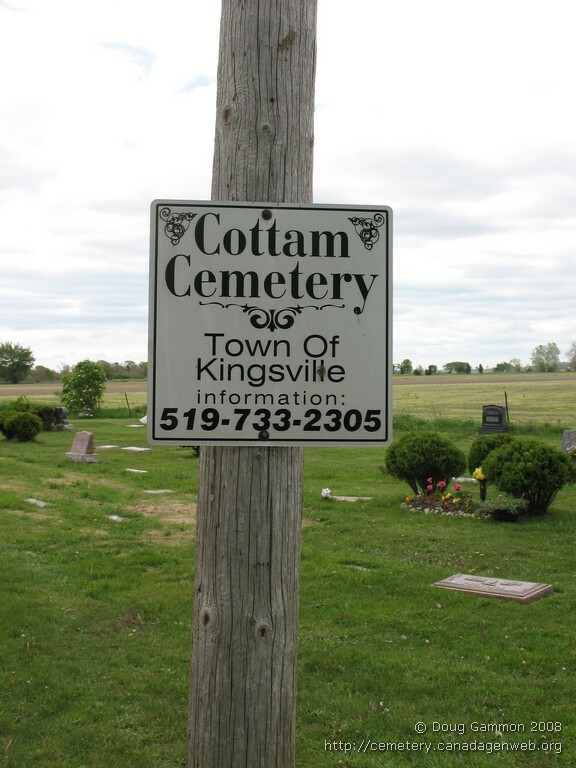 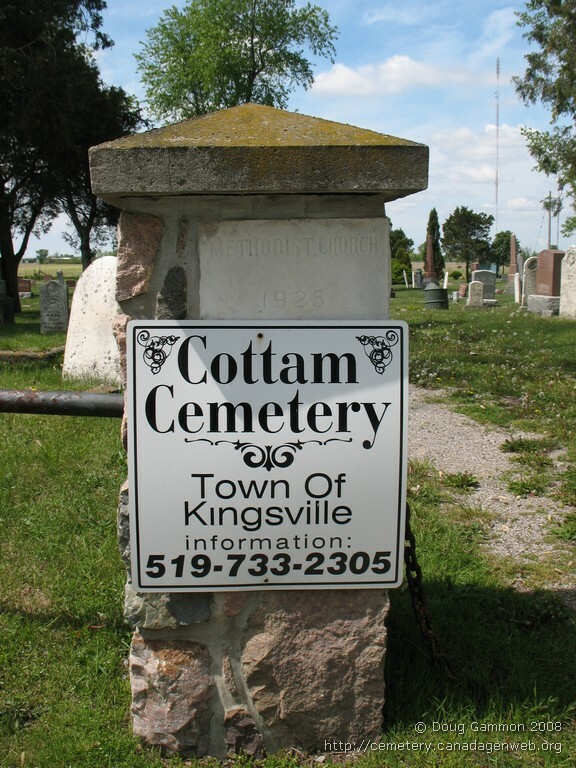 Registered to Town of Kingsville. 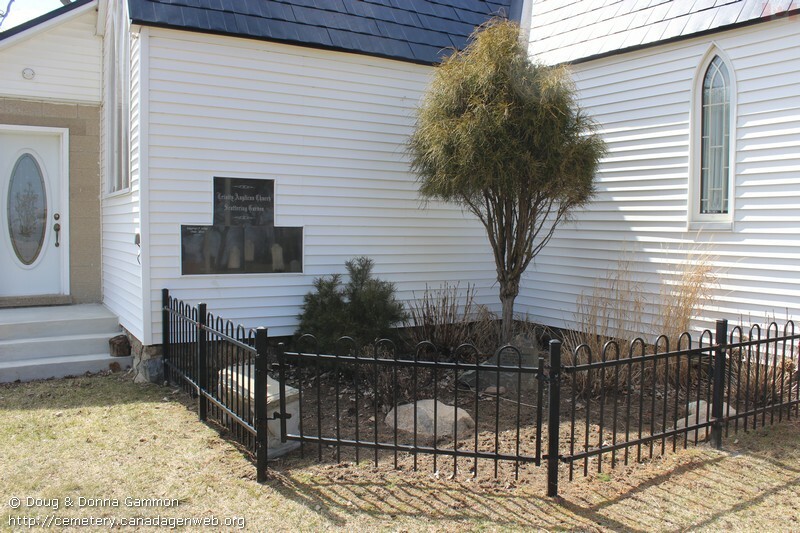 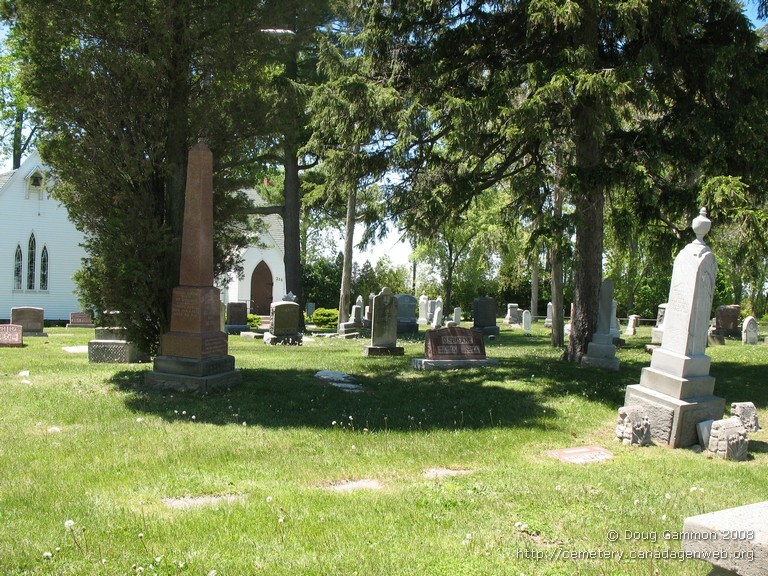 First burial was Mrs. Mallott in 1864. 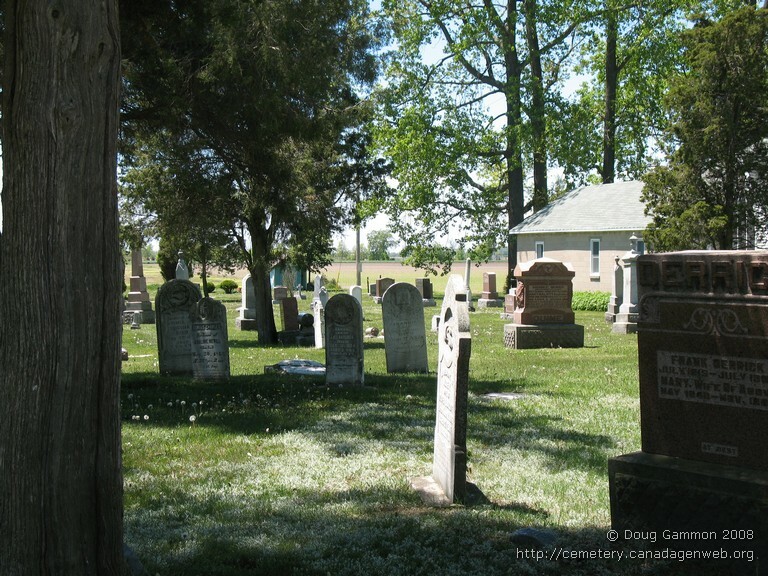 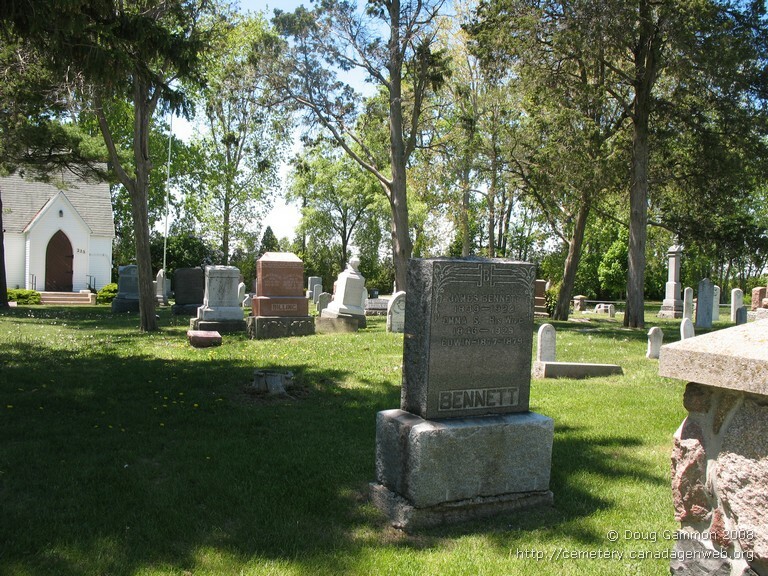 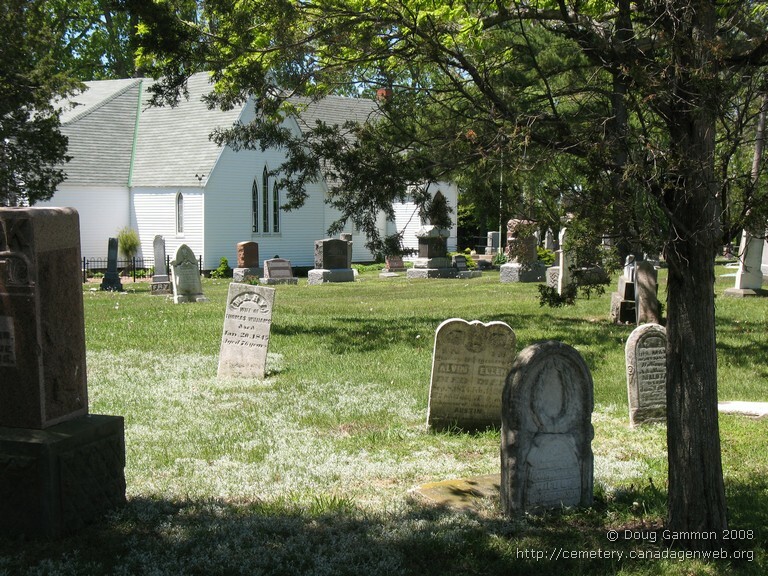 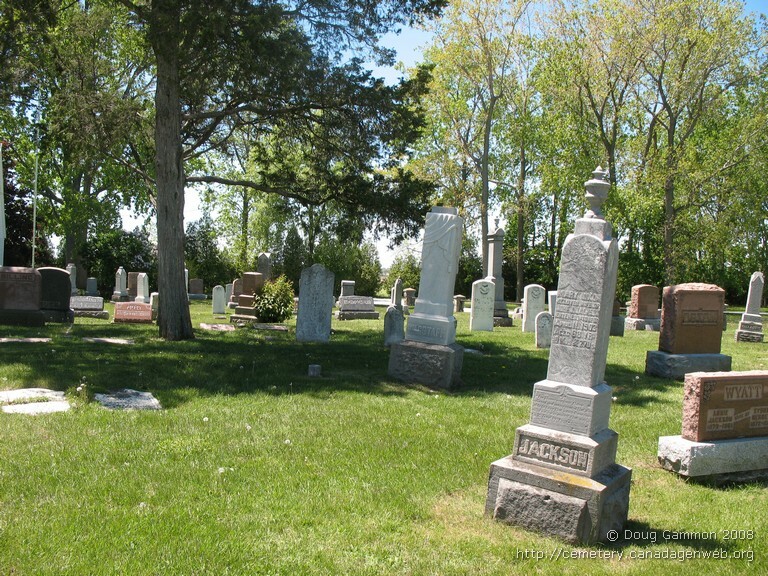 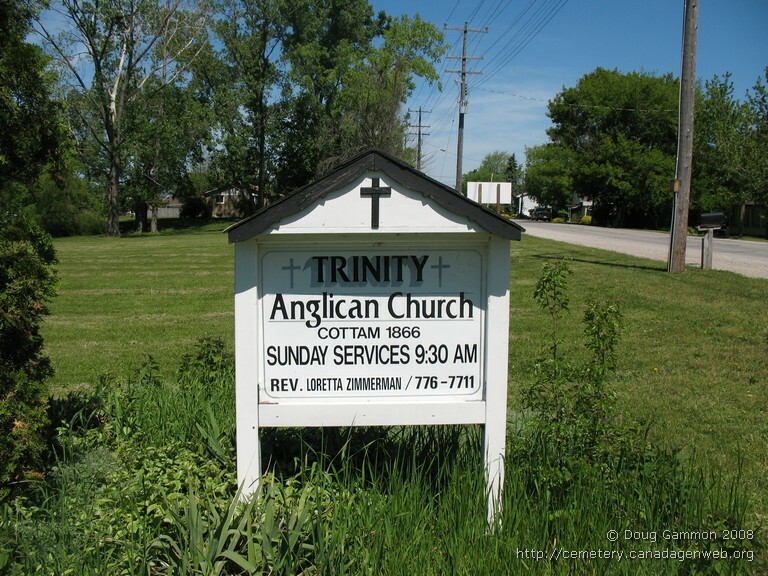 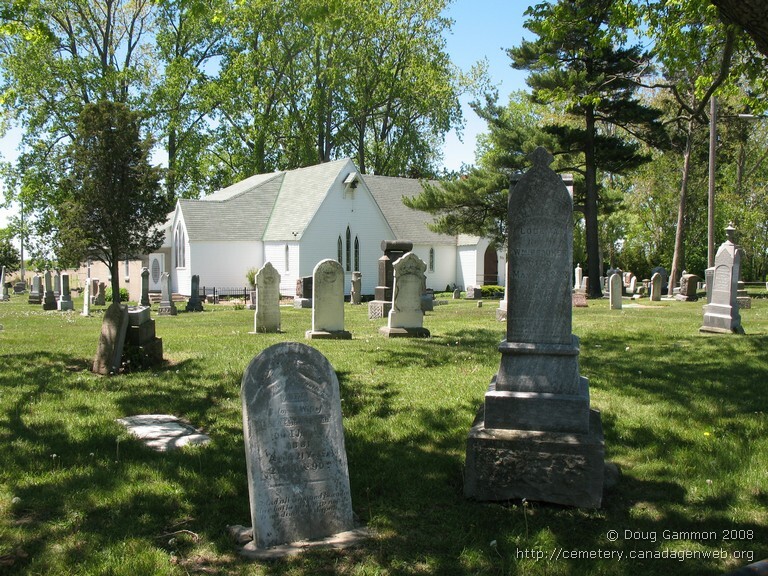 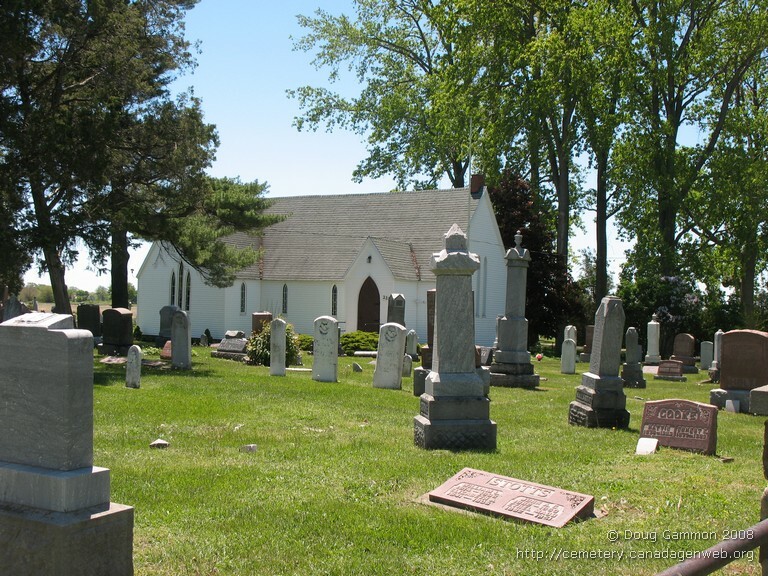 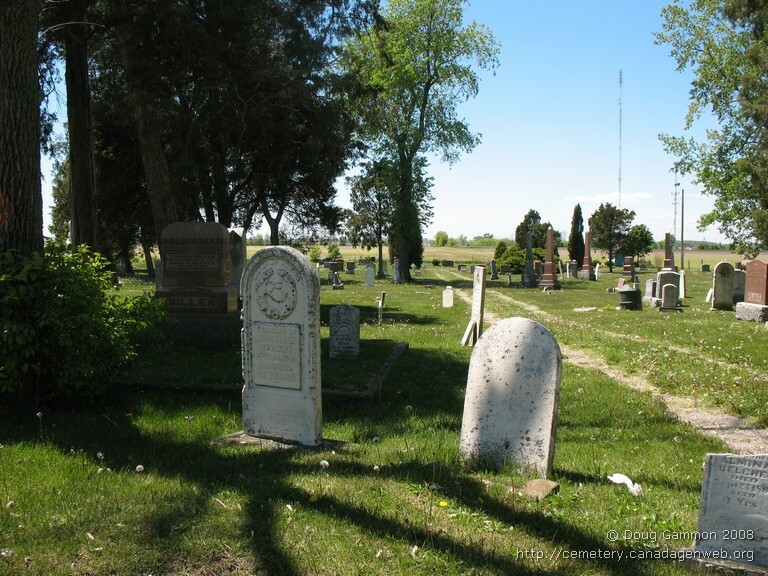 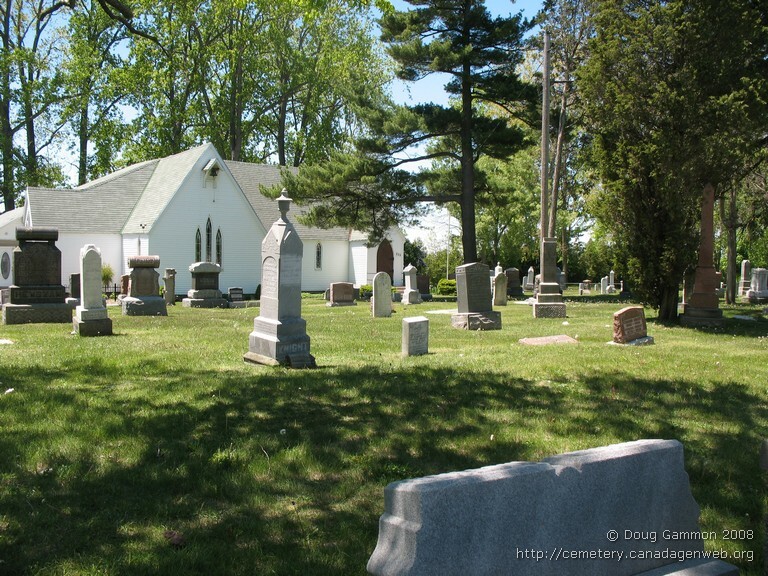 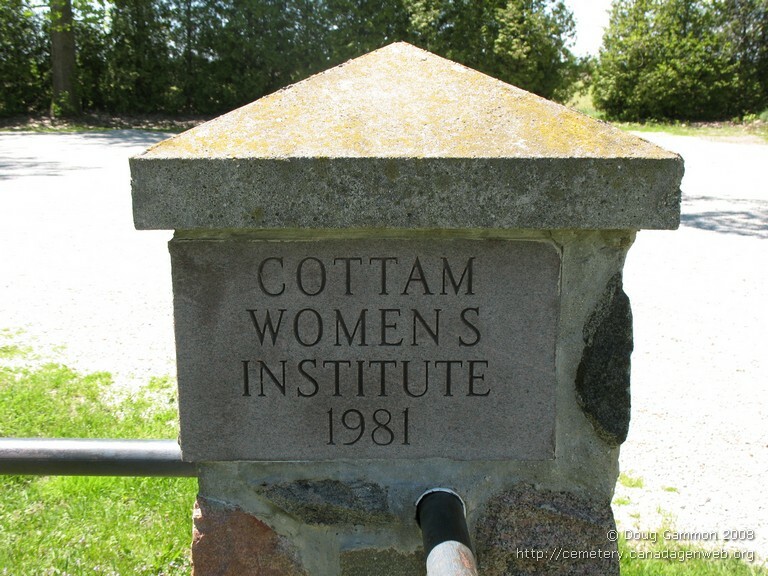 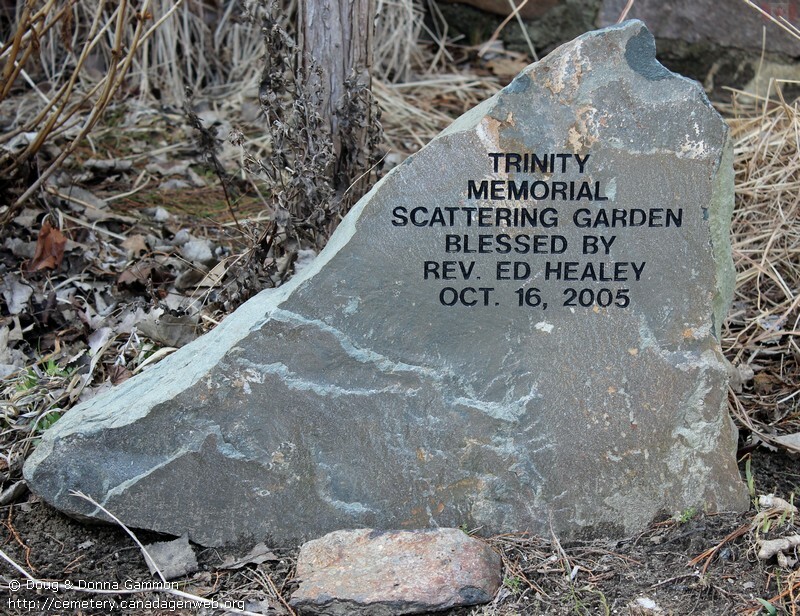 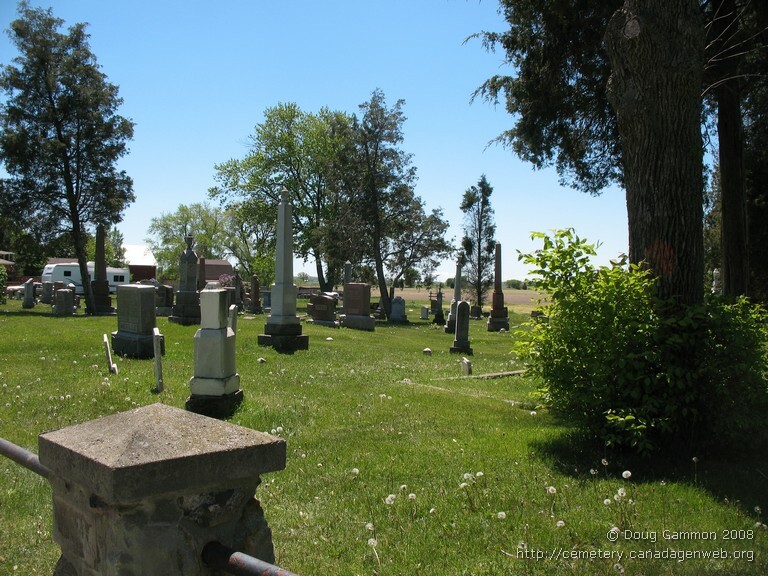 The cemetery is bounded by Highway #3 (Talbot Road) to the Northeast, fields to the southeas. 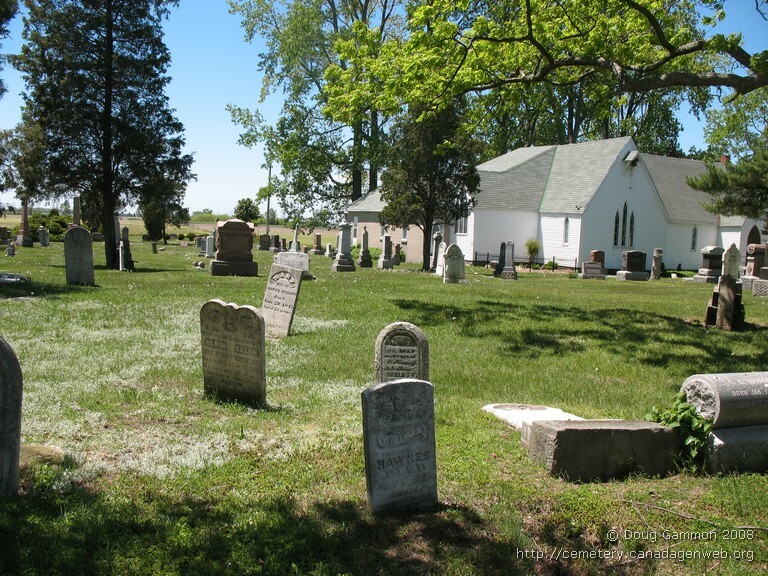 This cemetery is actually four cemeteries in one. 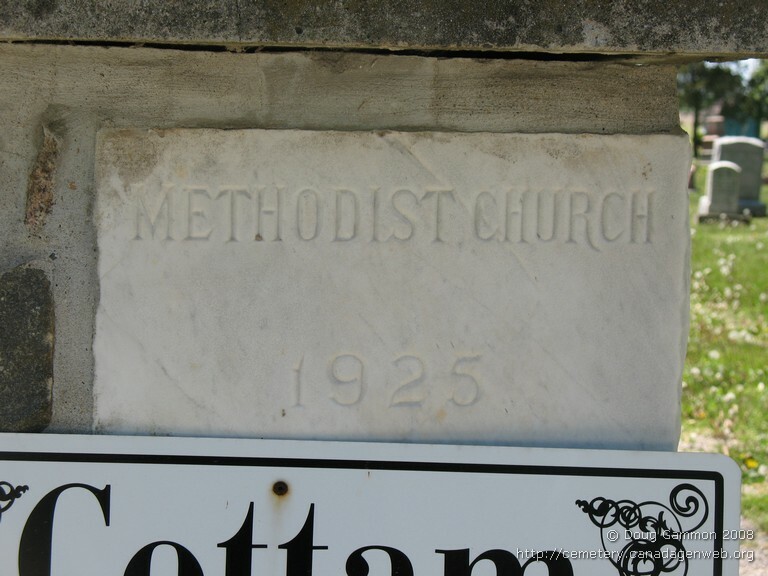 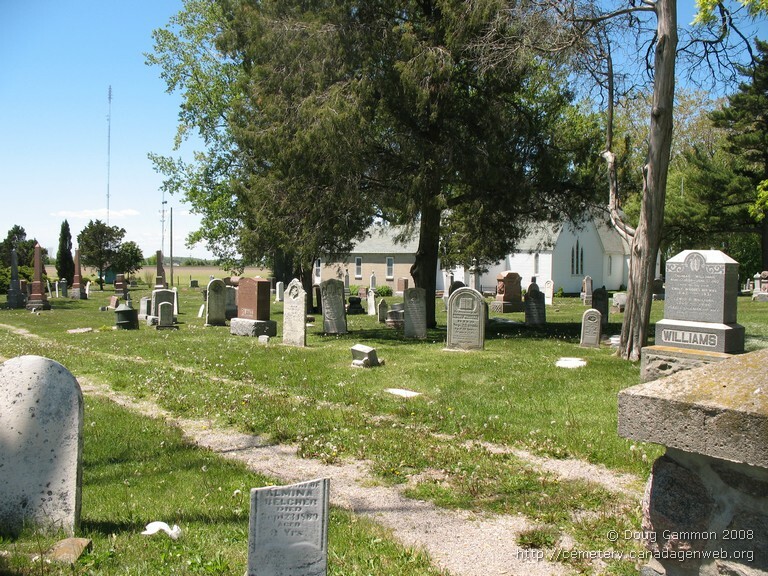 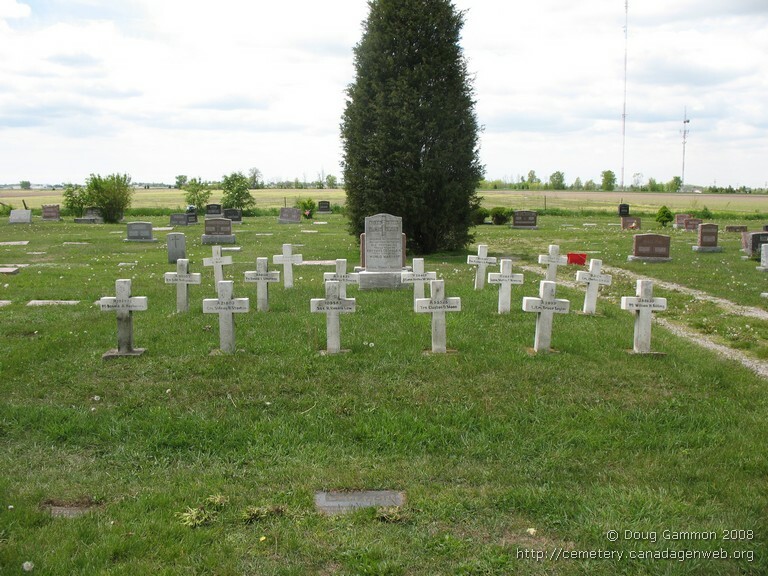 Section A is the Anglican part, section B is the Old Methodist cemetery, section C is Cottam United Cemetery and section D is Malott cemetery.